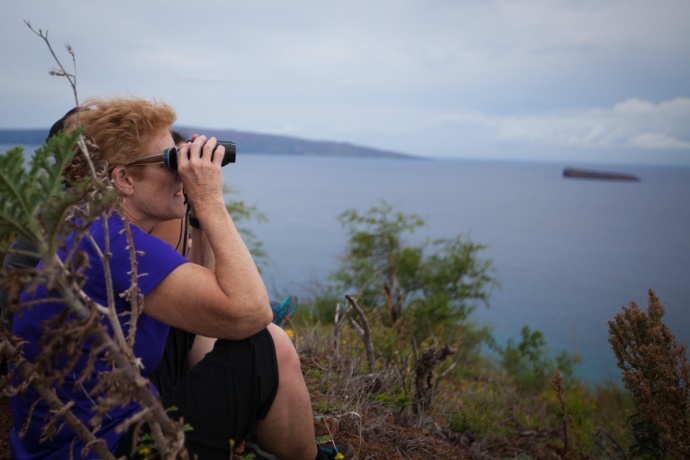 A total of 1,488 humpback whale sightings were reported during the 2015 Great Whale Count on Maui this past weekend, according to information released by the Pacific Whale Foundation. 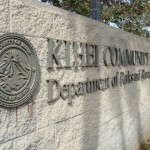 The largest number of sightings occurred in Mākena, Kahana and at the Kīhei Surfside tallying sites, with the total count up by 157 from last year, organization representatives said. 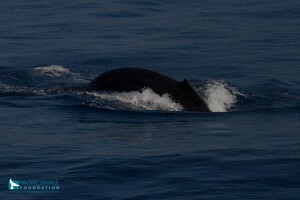 Despite the increase, the PWF reports that the number of calf sightings were down with whale calves making up 7% of the count this year, compared to 9% last year. 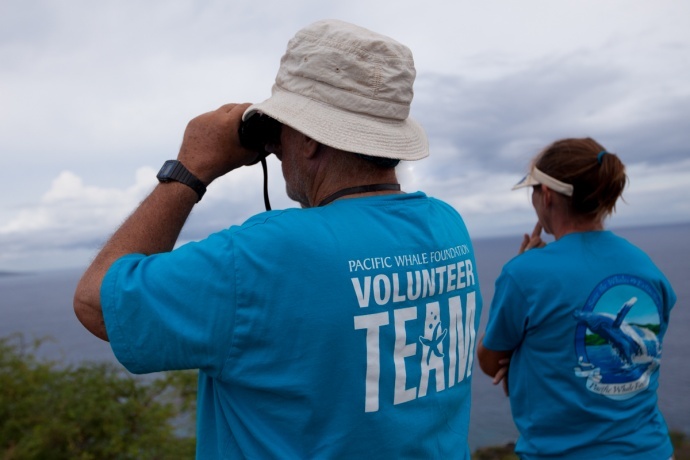 The annual count is organized by Pacific Whale Foundation, and is used to supplement results from agency’s field studies. The count, representatives say, provides a long-term snapshot view of whales and a valuable look at Hawaiʻi’s winter whale population. After reviewing data, PWF scientists say this year’s findings correlate to research that shows the North Pacific whale population increasing at an annual rate of 7-8%. 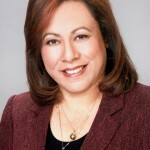 Dr. Emmanuelle Martinez, Senior Research Scientist at Pacific Whale Foundation commented in a press release saying, “Over the past decades, we have been seeing evidence of a growing number of whale sightings, even though the proportion of whales sighted fluctuates annually.” The current population, he said, is estimated at approximately 22,000 individuals. 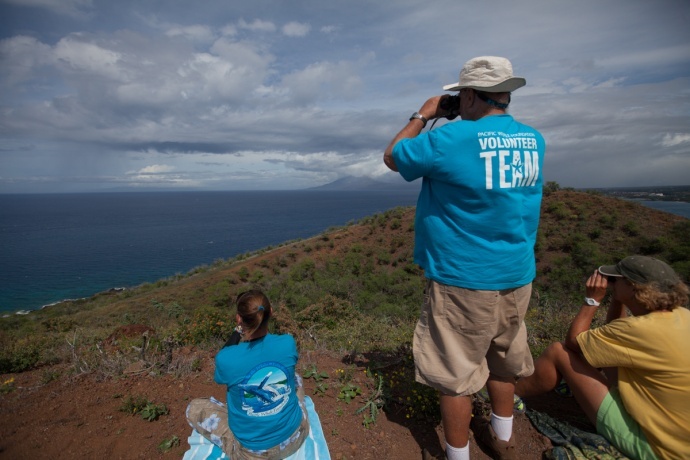 More than 100 volunteers participated in this year’s count held at 12 locations across Maui. 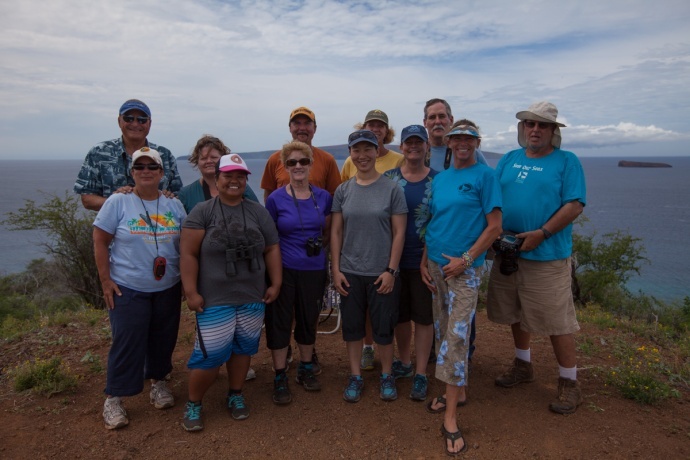 “Our research team greatly enjoyed this event, as it provided them with a chance to interact with the public and express their enthusiasm for whale research,” said Stephanie Currie, Pacific Whale Foundation research biologist and coordinator of the 2015 Great Whale Count. 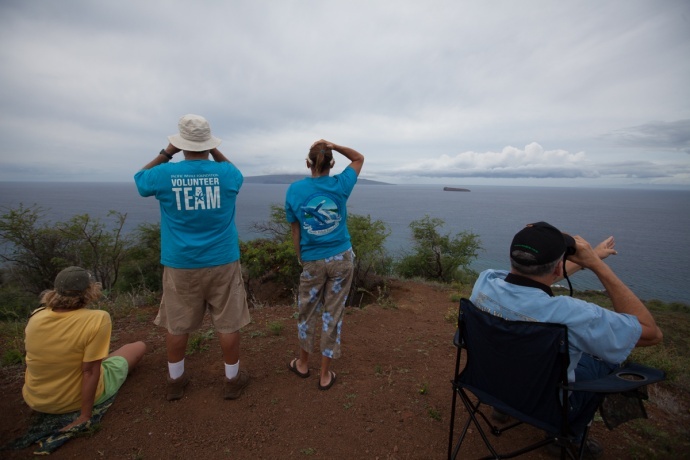 The next whale count is scheduled to take place on Feb. 27, 2016. 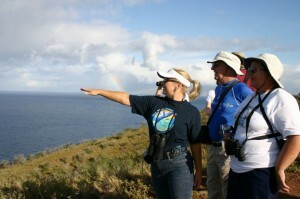 Great Whale Count Maui. Photo credit: Selket Guzman. 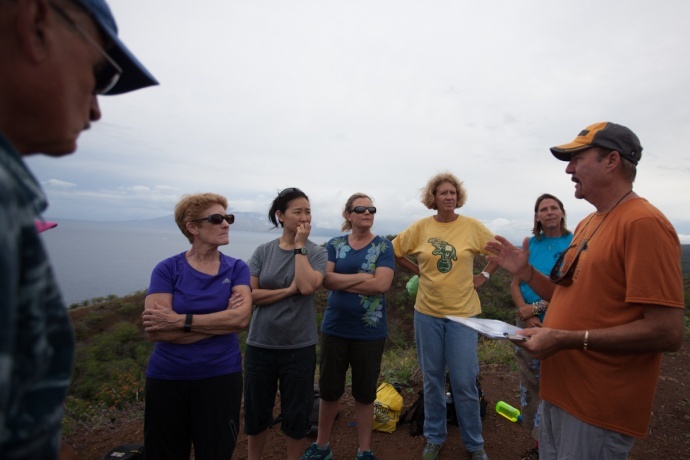 Greg Kaufman speaks to Great Whale Count volunteers. Photo credit: Selket Guzman.